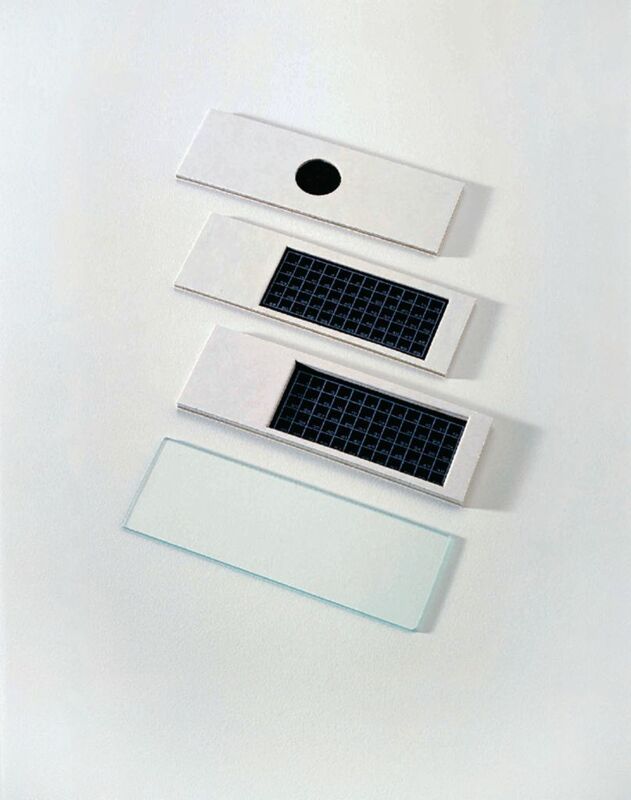 Cardboard with 1 mm-deep cavities hold hard-to-see microfossils in a small area, highlighting them against a black background. Will last indefinitely when used with glass coverslips and aluminum slide holders. Size: 1" x 3". Packages of 100. Deeper, 2 mm depressions in these cardboard slides conveniently hold and highlight larger microfossils. Packages of 100.